Choconut bed and breakfast travel guide for romantic, historic and adventure b&b's. Browse through the iLoveInns.com database of Choconut, Pennsylvania bed and breakfasts and country inns to find detailed listings that include room rates, special deals and area activities. You can click on the 'check rates and availability' button to contact the innkeeper. Choconut, Pennsylvania is a village near the scenic Finger Lakes. Beautiful lakes include Seneca Lake, Canandaigua Lake, Keuka Lake, and Cayuga Lake. Museums near Choconut are Phelps Mansion Museum and Robertson Museum and Science Center. Salt Springs State Park is popular for its many natural wonders, from water falls, rivers and lush forests. Lake Timberline is a favorite fishing spot of the local residents. With the Endless Mountains only a few miles away, there are many options for nature trekking. 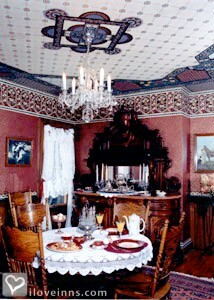 Innkeepers at Choconut bed and breakfast inns can provide suggestions for their guests on activities and restaurants. Other nature centers that can be found near Choconut are Sonnenberg Gardens and Cayuga Nature Center. By Addison House B&B.